Yes, I’m here! It’s been way, way too long since I’ve posted anything but I’ve been traveling for the past four weeks (first London, then Chicago) and now is the first time I’ve had a chance to sit down and get it done. It was nice to be back in my kitchen over the weekend, making some food. I feel like my diet and exercise has taken a nosedive over the past month so it’s time to get it together again. 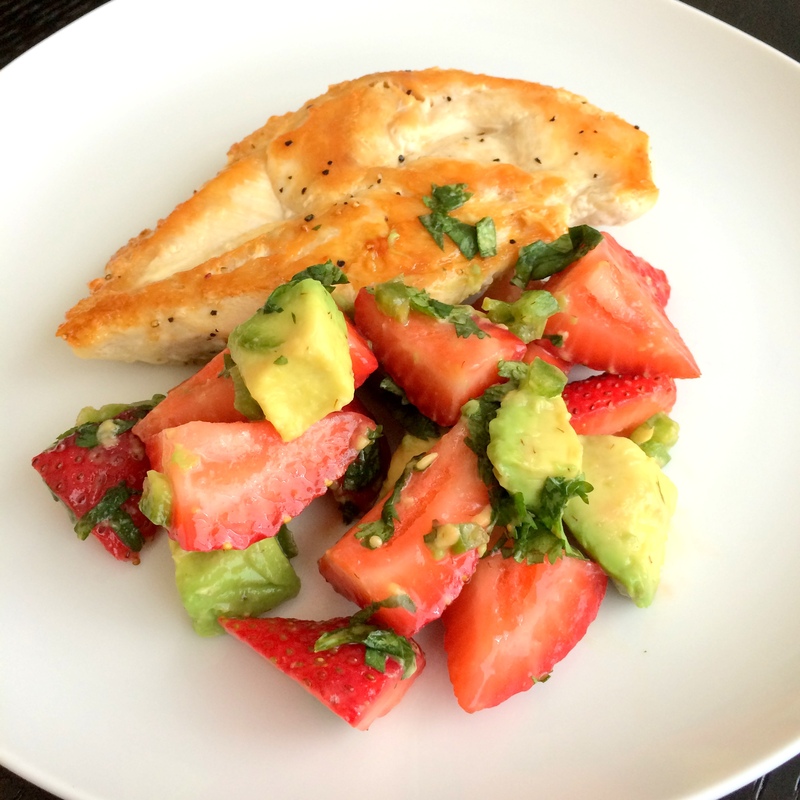 I came across this recipe for Chicken Cutlets with Strawberry-Avocado Salsa on the flight to Chicago and ended up buying the ingredients to make it when I landed. 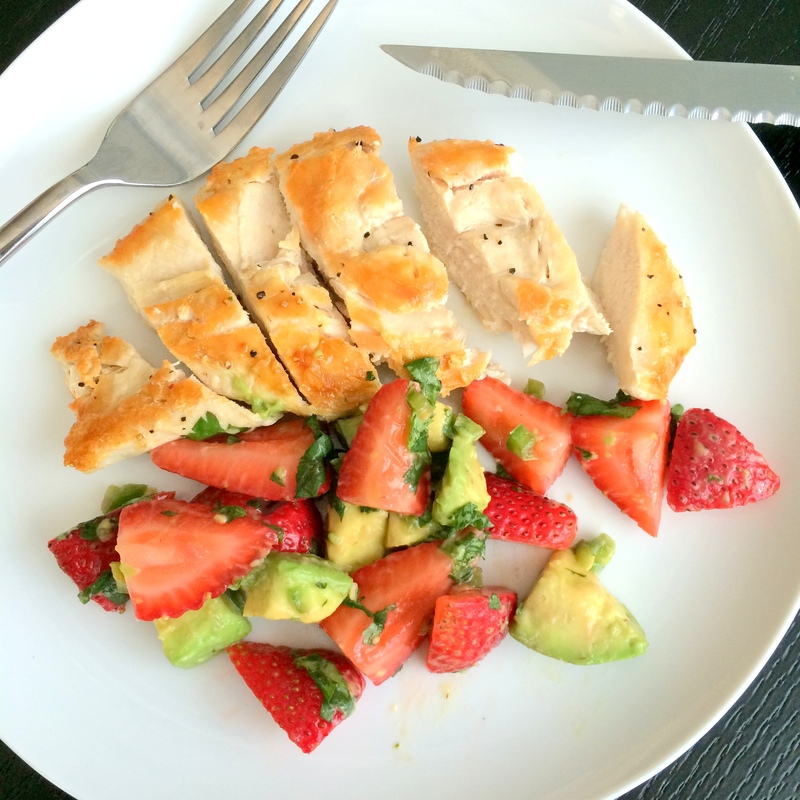 But then…I ate the avocado with eggs, the chicken with adobo seasoning, and the strawberries with ice cream. My plan failed. So, I tried it again over the weekend and actually got this dish made. And I wasn’t disappointed. Chicken cutlets are given a boost of flavor from a vibrant salsa made with strawberries, avocado, lime, cilantro, and jalapeño. The sweet strawberries, creamy avocado, and spicy jalapeño are all perfect complements to each other and then the fresh cilantro and citrusy lime really round everything out. This is such a perfect summertime dinner, especially if you are watching your waistline, and this salsa is good enough to eat with nothing but a fork. If only I’d made this recipe last weekend, maybe I wouldn’t be so worried about my waistline now. 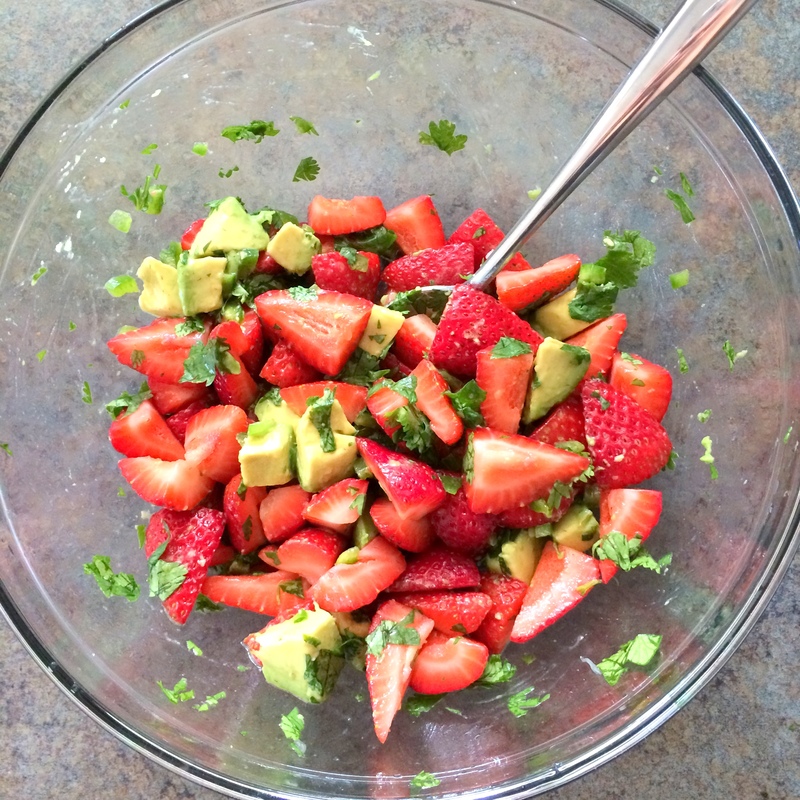 Combine strawberries, avocado, jalapeño, cilantro, lime juice, and 1/4 teaspoon salt in a small bowl; toss to combine. Heat a large skillet over medium heat. Add oil to pan; swirl to coat. Sprinkle chicken with remaining 1/2 teaspoon salt and pepper. 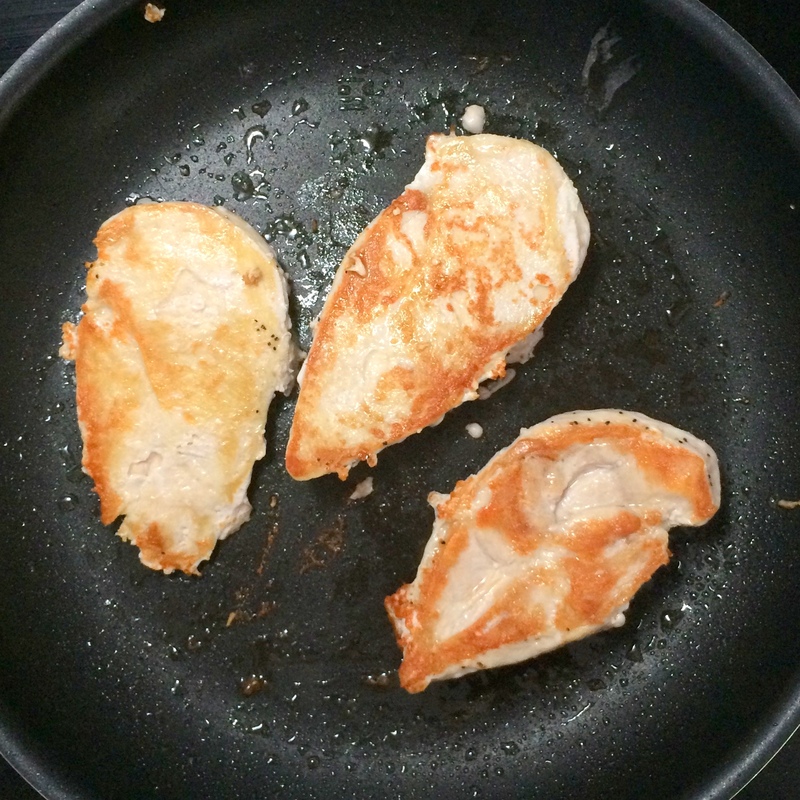 Add chicken to pan; cook 3 minutes on each side or until done. Divide chicken among 4 serving plates, and spoon salsa evenly over each serving. Garnish each serving with a lime wedge.